Apricots are a fruit that can either be sweet in taste or at times very sour. Many people will not eat fruit that is very sour in taste. One way to make this fruit more consumable is to make it into a smoothie. Of course other fruit may need to be mixed in as well. This apricot and banana smoothie recipe can be whipped up in less a 5 minutes. It is healthy, sugar free and very filling as compared to other fruit smoothies. It can be enjoyed anytime during the day. 1. Halve apricots and banana. 2. Add all ingredients to a blender and blend on high speed until a smooth mixture forms. 3. Pour in glasses and serve. 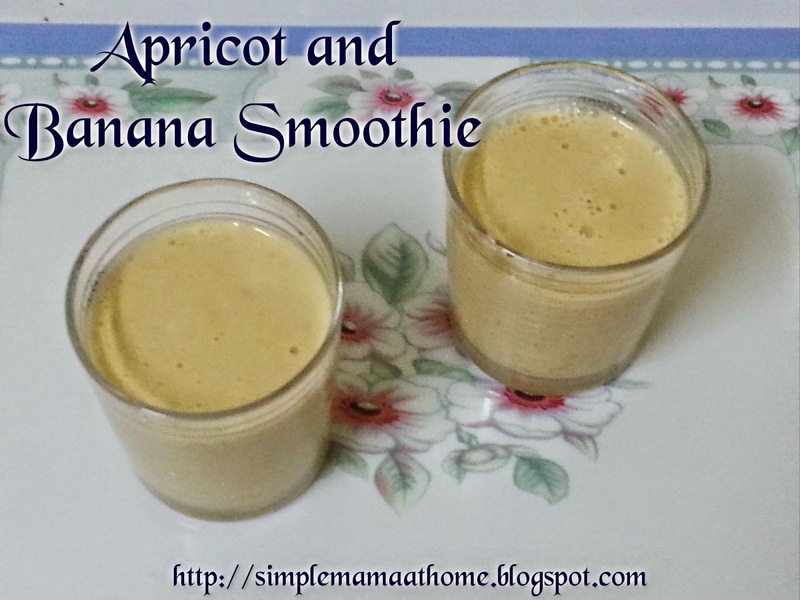 Have you ever tried apricots in smoothies? I absolutely LOVE smoothies. Don't think I have ever tried an apricot one though, but there is always a first time! Since my husband has been home from a quad bypass her has been drinking green smoothies every day, I add protein to give his healing processes a boost.